A visiting senior judge denied a defense request to reconsider the state prison term imposed two months ago on Rita A. Arnold, a former magisterial district judge. 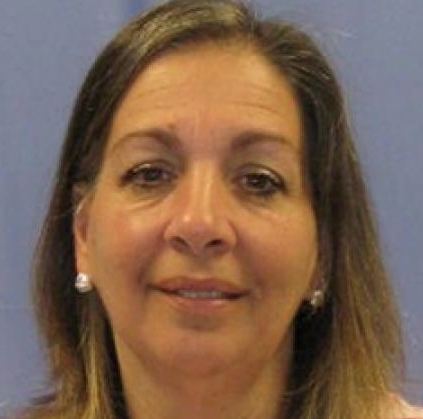 A visiting judge rejected a motion for reconsideration for a former magisterial district justice in Chester County Court on Tuesday afternoon, generating gasps throughout the courtroom, which was filled with more than 50 supporters. Stressing that Rita A. Arnold’s conduct “undermined the judicial system,” Senior Judge John L. Braxton declined to reduce the state prison term of 16 to 32 months in prison he imposed two months ago. He also initially refused defense attorney Heidi F. Eakin’s request for bail pending appeal, explaining that he does not believe that an appeal will succeed since the sentence was lawful and no errors occurred. However, the judge ultimately set an amount of $1 million. He also gave Arnold, 57, who is being treated for breast cancer and wore a yellow bandana on her head, until Dec. 27 to report to state prison so that she can get her medications in order. Arnold, who once served as magisterial district judge for the Downingtown region, which included Birmingham Township, pleaded guilty in June to obstruction of justice and tampering with public records. According to court records, she concealed a summary citation state police issued to one of her sons in January 2010 to protect him from a probation violation. After repeated questions over a couple of months from police about the docketing delay, Arnold lied about its status, and then, without the required approval of Chester County President Judge James P. MacElree II, improperly docketed the citation and ordered an employee to transfer it to another court, where it was dismissed, court records said. During the sentencing hearing, both Braxton and Senior Deputy Attorney General Susan L. DiGiacomo pointed out that once the wrongdoing was discovered, Arnold, who spent 19 years on the bench, had multiple opportunities to admit her misconduct but failed to do so. Instead, Braxton pointed out that she “concocted” three different versions of events to try and conceal her guilt and asked her office manager to lie for her, which the longtime employee refused to do. But Braxton said he felt Arnold’s most egregious conduct occurred after the Court of Judicial Discipline imposed a month’s unpaid suspension in July 2012 at a sanctions hearing. As soon as Arnold returned to her post, she retaliated against the office manager by writing a letter to the president judge seeking the woman’s ouster because she had been “unwilling to lie in her behalf,” Braxton said. So Braxton asked Arnold why she sought to have the woman removed, which prompted an awkward silence. Eakin eventually interjected that Arnold had tried “to insulate” the employee from what was occurring, but Braxton was unmoved. During the hearing, Eakin presented only one witness: Dr. Bruce Colley, Arnold’s family physician of 21 years. He testified that Arnold, who is also diabetic, would be best served by remaining with her current medical regimen, including a local oncologist. He said when he saw her after she had spent six days in prison, she had not received her medicine for diabetes and had developed pneumonia. DiGiacomo had no questions for Colley and no argument, telling the judge that the commonwealth deferred to his discretion. The Pennsylvania Attorney General’s case against Arnold surfaced in April, eight months after the Court of Judicial Discipline returned Arnold to her elected post. Arnold resigned shortly after state agents from the Attorney General’s Office arrested her for the same offenses that had prompted the minor reprimand from the judicial panel in Harrisburg.